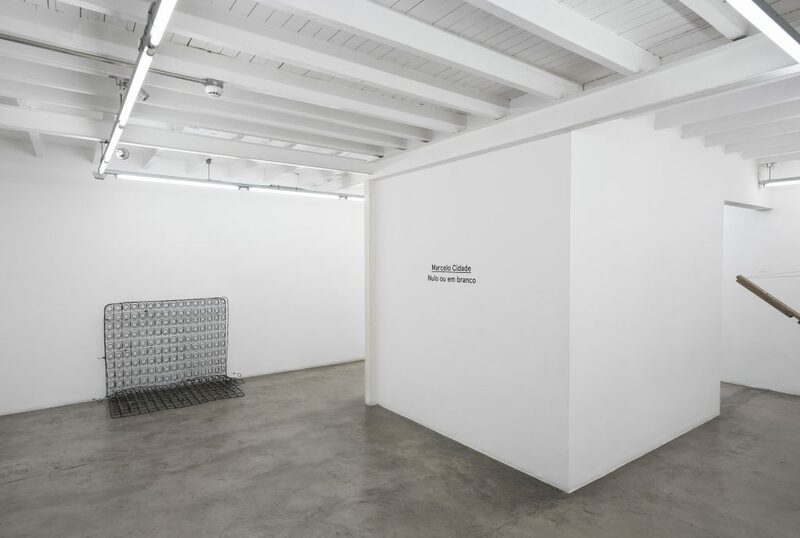 In Nulo ou em Branco, his fifth solo show at Galeria Vermelho, Marcelo Cidade presents artwork that continue his research involving the tensions between public and private and the behavior of humans within this crossroads. The selected works propose spatial and temporal intersections relating to social policies and, thus, with the place reserved to the body, activated by the presence or absence of the audience. 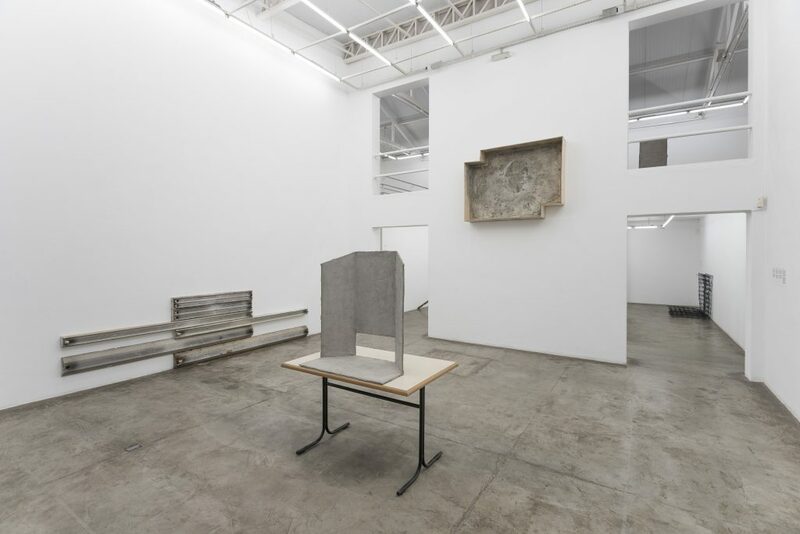 Cidade has used traditional Brazilian voting booths to create the work that lends its name to the exhibition. 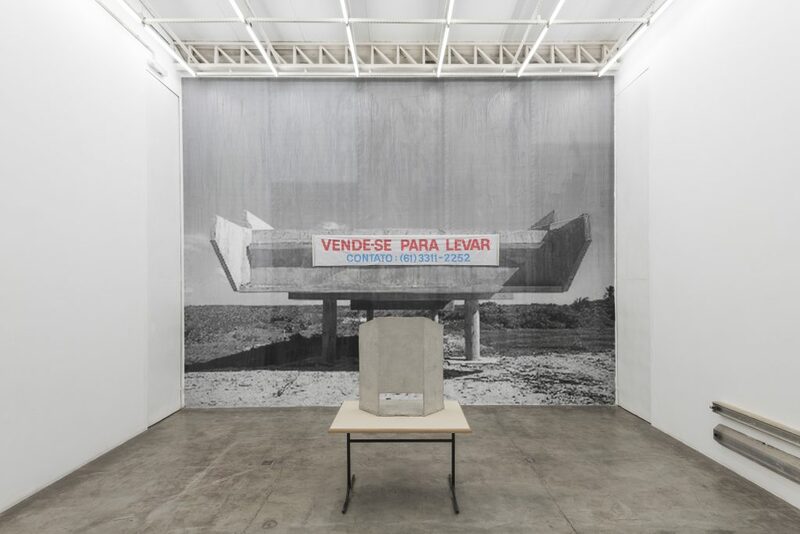 Built from cut and folded shapes of cardboard sheets, imitating the official voting booths, Cidade’s booth is covered in concrete, forming a kind of “bunker” where the voter may privately make his choice. The work shows the democratic gesture of choosing the candidate that better represents one’s values has become an experience lacking protection and safety. 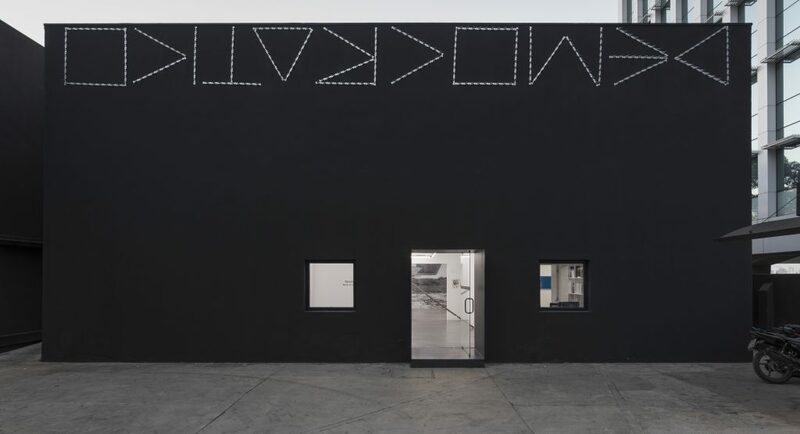 At Vermelho’s façade we see the Ocitarcomed [Citarcomed] installation (2016), a mirrored spelling of the word democrático [democratic], using protective clamps for exterior walls to build every letter. The typeface alludes to the calligraphy employed by graffiti street artists and, as such, also work as a kind of challenging cypher. Marcelo Cidade is commenting on the current state of Brazilian democracy as something deformed and indefinite. In the A___________ social series, from 2015, Marcelo Cidade presents images gathered from the Internet showing household break-in attempts. In the images, haphazard burglars are seen stuck in bits of architecture such as windows, chimneys and fences. Along every serigraphed image, Cidade adds aphorisms from the Arquitectura social, três olhares críticos [Social architecture: three critical perspectives] paper, by Luís Santiago Baptista, Joaquim Moreno and Fredy Massad, in which the authors relate essential aspects of relationships and the implications of social architecture in a world fraught with crisis and conflict. Finally, Cidade removes the term “Arquitetura Social” from each axiom, replacing it with a continuous underline, as if waiting for the observer to fill in the gap. The main wall of the gallery’s room 1 is taken by a huge image enlarged using billboard printing techniques. Taken from the Internet, it shows the abandoned construction of an elevated road in the Brazilian state of Maranhão with apparent underlying Modernist architecture features. The image’s low resolution, enlarged with the bitmap technique, highlights the project’s abandonment and its modern origins. Above the panel, a banner made of tissue advertises: Vende-se para levar [For sale, to go]. 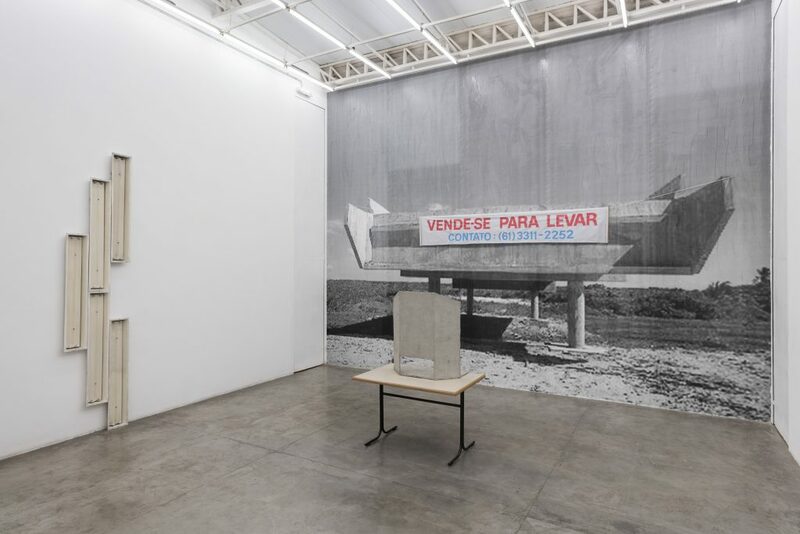 Cidade transposes two elements commonly seen in commercial diffusion in the public space – the billboard and the banner – to examine the art commerce, as well as typical elements seen in Brazilian cultural formation. In the (un)monuments for V.Tatlin series, Marcelo Cidade recreates the Monuments made by Dan Flavin commemorating Vladimir Tatlin, using structures from overlapping lamps for fluorescent lights. While Flavin uses the lamps as a means of questioning the materials’ lack of permanence and, therefore, the systems’, Cidade works with the idea of ruin. In Marcelo Cidade’s recreations, there’s no room for impermanence anymore, only the useless residue of a Utopia plan. In Realidade Placebo [Placebo Reality], Cidade reproduces LSD tabs with scenes from recent clashes between demonstrators and the infamously violent police force. The frenzy brought by the LSD doses are not hallucinations, as the tabs are actually placebos with no actual drug load. Instead of tripping on the action seen in the images, we are faced with the actual facts. In Confortável Conformismo [Comfortable conformism], Cidade works with instructions that must be followed by the organizer, curator, producer or anyone involved with the exhibition that the artwork will be a part of. 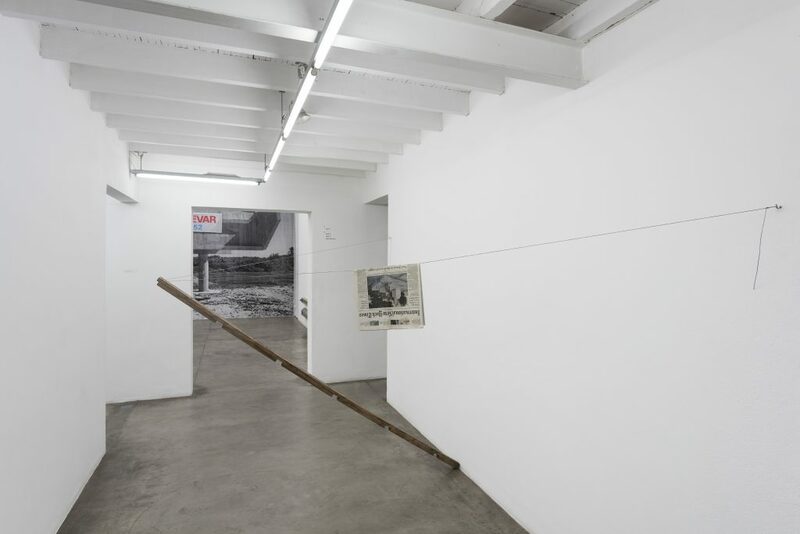 In seven steps, the artist describes a process in which an abandoned spring mattress must be found in the city’s streets and then burned, with its skeleton placed forming a 90-degree angle with the wall. 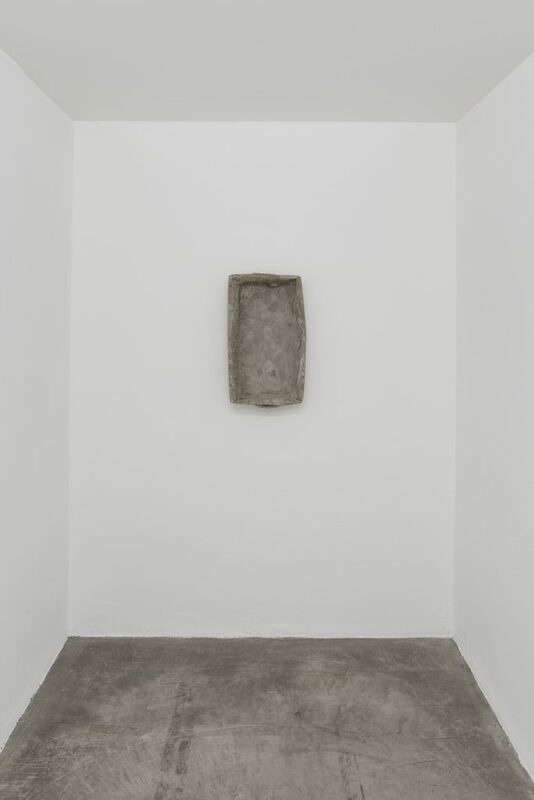 The presentation mentions the work Untitled (Double Amber Bed), from 1991, by Rachel Whiteread, in which the artist intended to comment of the situation of London street-dwellers from the early 1990, bringing inside the gallery an object from daily street-dwelling life. By dissociating himself from the artwork’s production processes (beyond conception), Cidade is making room for chance to take over. In the Pobre minimalismo [Poor minimalism] series, Cidade envelops cardboard boxes with materials commonly found in buildings – concrete –, thus highlighting the apparatus’ permanence as something that is elusive to the public power and useful to those depending on it. Cardboard has been at the forefront of recent news on the city of São Paulo and the social hygiene process unleashed by the state and local governments on its streets. In a series of recent police operations, under the watchful eye of the above-mentioned authorities, street-dwellers have been forbidden to accumulate cardboard and had the material confiscated. Cardboard is a common element brimming with symbolic power to the eyes of the inhabitants of large metropolises, especially the homeless population. With cardboard, street-dwellers are able to build shelter from the cold and the rain, creating private spaces in public territory. The bits of cardboard are made into homes and may be traded at recycling stations, known for purchasing it. In resistance movements, demonstrators often wear cardboard sheets beneath their clothes to minimize damage from eventual clashes with the police, such as the impact of rubber bullets. variable dimensions, Anti climb spikes. 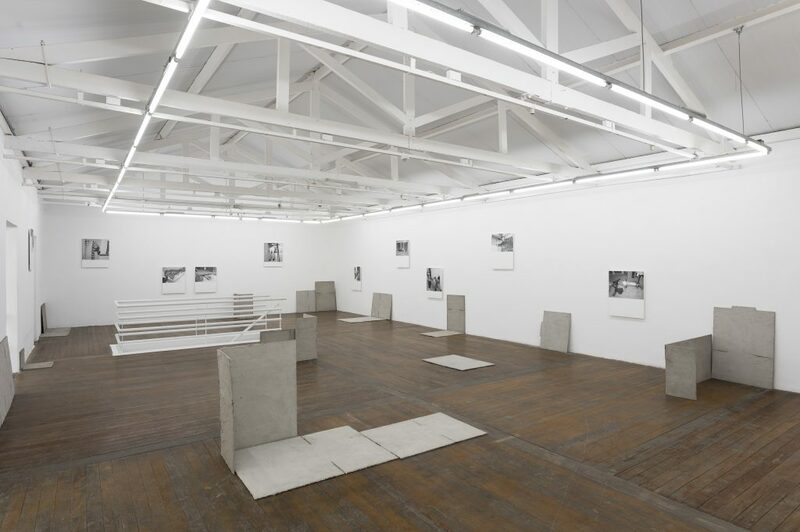 Installation view. Courtesy Vermelho. Photography Edouard Fraipont. 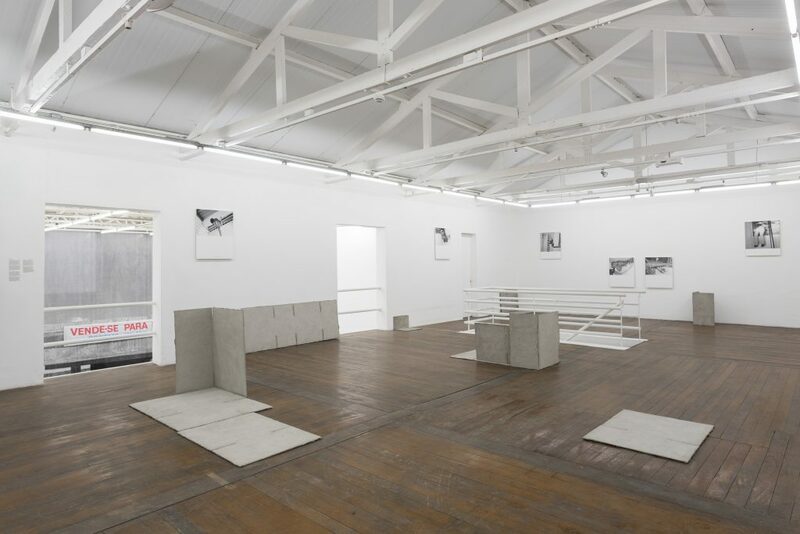 Marcelo Cidade ‘Nulo ou em Branco’ Installation view. Courtesy Vermelho. Photography Edouard Fraipont.